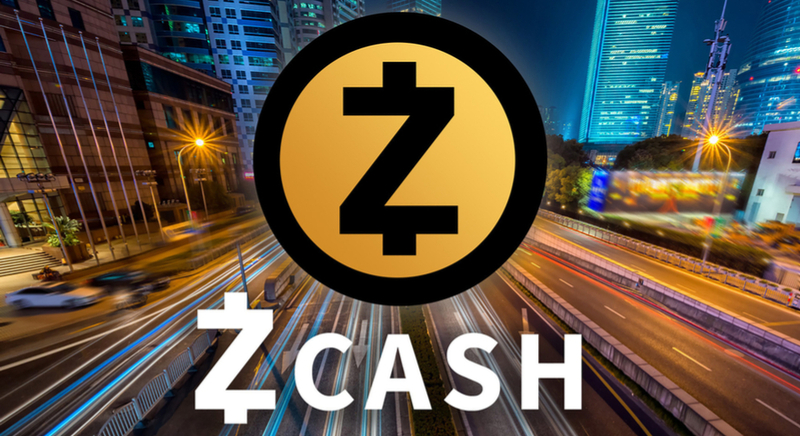 ZCash (ZEC) is a cryptocurrency project that originated from the Zerocoin/Zerocash idea, proposed back in 2013. Zcash was forked out of Bitcoin and launched in October 2016, and it was previously known as Zerocoin. Zcash is a Bitcoin fork. Because of that simple fact, they have a lot in common. There are two types of Zcash transactions: private and public (similar to BTC). When you download the official Zcash wallet, you will notice it offers two types of addresses: t-addr, your public address, and z-addr, your private address. You can choose which one to use. Bitcoin transactions are fully transparent. Everyone can use a BTC block explorer to check if a transaction has been sent from one BTC address to another. Zcash is private if the user chooses a z-address. There is a special key view that can provide selective transparency. According to the source, "Zcash offers total payment confidentiality, while still maintaining a decentralised network using a public blockchain. Unlike Bitcoin, Zcash transactions automatically hide the sender, recipient, and value of all transactions on the blockchain" 4. How does Zcash Defend Its Privacy? Being a decentralised and open-source cryptocurrency that offers privacy and selective transparency of transactions. Zcash payments are published on a public blockchain, but the sender, recipient, and amount of transactions remain private. Due to the encryption of the contents in the shielded transactions, the protocol uses a cryptographic method to prove transaction validity. This method is called zk-SNARK. These constructions allow the network to maintain a secure ledger of balances without disclosing the parties or amounts involved. Instead of publicly demonstrating spend-authority and transaction values, the transaction metadata is encrypted, and zk-SNARKs are used to prove that nobody is cheating or stealing. What are Pros and Cons of Privacy? As we already explained, ZEC uses zk-SNARKs privacy protection technology. We think that strict privacy is beneficial for companies that want to protect supply chain information from competitors, all individuals who don't want any payment information publicly known as well as wealthy people who don't want any of their activities publicly exposed. Zcash uses a new form of cryptography. Nobody can guarantee that there are no bugs in the system that will make it possible to deanonymize transactions or create coins out of thin air unless it has been tested for years. So, if coins are being created, it will not even be detectable because, unlike Monero, you can't verify the total amount of coins in the ZCash blockchain. How are New Zcash Coins Created? What is the ZEC Price Movement? After a strong uptrend that began in September 2017, the price reached 800 ZEC/USD for a coin. Then, the price reversed towards 200 ZEC/USD and now, obviously, we see the support around 250 ZEC/USD. At this point, it looks like the uptrend might continue and buying the dips on the ZEC/USD might be a good option. Trading Zcash CFDs with Admiral Markets? Sure! You can trade Zcash and all major cryptocurrency CFDs in one place – with Admiral Markets. Explore our product range to know what we are offering! Looking to test your trading skills first? Take as much time as you need opening our Demo account, polishing your strategies and plans in a risk-free environment.